Control quantities are ratios between one element of a building or construction project and another. 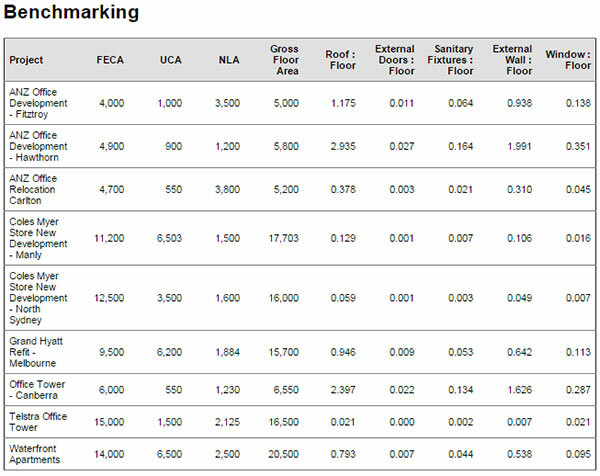 They can be used to measure a whole variety of things including design efficiencies (for example the wall to floor ratio), cost drivers (preliminaries:construction costs), Density (floor area ratios) and thermal performance (windows to floor ratio). The good thing about ratios and control quantities is that they can be compared on a global basis without worrying about inflation and currency differences. When benchmarking globally, the ability to compare design parameters globally for similar types of projects can greatly assist multi-national investors and perhaps even drive change in various countries to align to what might be better practice. Without a global benchmark of control quantity information, discovering these discrepancies or variations is impossible. Standards are the drivers for many things. Many tech hardware and software devices would cease to exist without industry standards being used and relied upon in their build. The same goes for cost benchmarking. 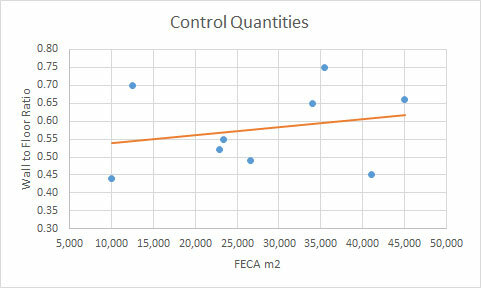 Without standards it becomes impossible to benchmark and without benchmarks, control quantities have no comparator to give them a use. So key to generating a successful benchmarking database is to get estimators to compile budgets against a standard elemental structure and for those estimates to have both elemental quantities as well as monetary totals. Inhibitors to creating a standard are clients of estimating services wanting the estimate to fit their own bespoke template, recalcitrant estimators who only see the value in their single estimate, not in the flow on benefits of capturing this and comparing it against others and organisations actually agreeing to what the standard should be. Solutions to each of these problems are selling the benefits of benchmarking and control quantities analysis to these clients (see 5D BIM discussion below), transparently displaying information about who is generating good benchmarking information and rewarding staff on this type of performance and adopting an industry standard as your standard for estimating (e.g. NPWC, POMI, NRM etc). Problem number 2 can be easily solved using many estimating software products that exist in the marketplace that have key functionality to allow for quantity inheritance. Two that come to mind are CostX by Exactal and Cato by Causeway. Both systems allow you to pick which detailed line item to inherit when rolling up costs from the detailed to the elemental level. For example, the wall area qty would be including underneath the wall element "external walls (excl windows)" many times (perhaps as a subset) at the detailed level with different rates applied, by marking one line or a combination of line items totalling the wall area to inherit when summing the total external wall cost, our aggregated quantity problem has disappeared. Once our estimates are being compiled at a standard format and quantities are being aggregated correctly to the elemental level, the next step is to make sure we calculate each ratio correctly and present this information to reviewers of cost estimates in an integrated fashion. Many organisations use pen, paper and a calculator to complete the sense check calculations of an estimate. This is obviously prone to error and does not provide the reviewer with any transparency that the calculation has been completed correctly. UniPhi solves this through its calculated metrics functionality. 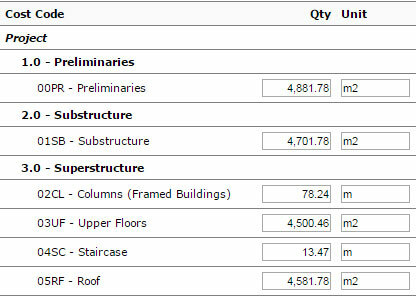 Here, a system administrator can use the codes in the elemental structure to define formulas that get calculated in the UniPhi cost module. 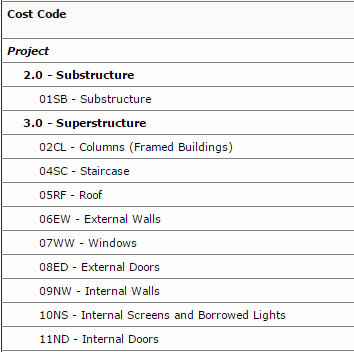 The documents module is then used to integrate the display of estimate, control quantities, benchmark ratios and design documentation to a reviewer. See how we do this end to end via our you tube videos capturing calculated metrics. The final and most important issue that basically makes all the other solutions moot is the disparate storage of these estimates. Many organisations will email colleagues asking for excel spreadsheets of similar estimates waiting hours or days for the data to be forthcoming and when received having to then resolve the three issues above before being able to manually aggregate them and use the averages. The portfolio aspects of UniPhi can aggregate an average of all projects across the portfolio that meet the characteristics of this particular project. This provides the necessary benchmark number to compare the current estimate to. This comparison provides for a wealth of information for the cost manager to bring to the table for any value management or cost saving exercise that might ensue. It is this last piece of the puzzle that opens a door of opportunity to cost estimators be they internal estimators for contractors or external consultants for clients of construction services. The time taken to manually measure drawings to derive estimates has been reduced through the development of BIM software that can allow a user to measure through clicks on a screen and then adjust this when a drawing is adjusted by an Architect. However, by capturing the data in a structured manner and using the competitive advantage of having pools of information on previous projects to provide insights to the current design, an estimator can actively participate in the design conversation. This value add removes the commodity type nature of the industries work and lifts cost consultancy up into the realms of management consultancy as the integrators of design and engineering parameters to make sure a cost effective solution that meets the functional and service outcomes of the clients is achieved. Please feel free to give us your feedback on the complexities and issues faced providing and using benchmark data at your organisation.